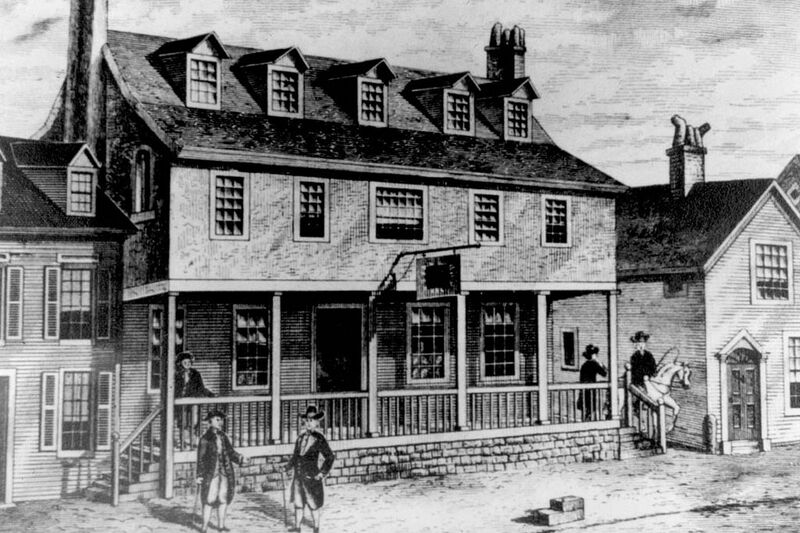 The first members of the Marine Corps enlisted at the Tun Tavern on Nov. 10, 1775. Today is the 239th anniversary of the founding in Philadelphia of the U.S. Marines Corps. Tradition holds that the corps' birthplace was the Tun Tavern, then located at Water Street and Tun Alley, where the first marines enlisted. The tavern burned down in 1781. A historic marker at Sansom Walk and South Front Streets says the tavern stood nearby. Current and former marines are expected to gather at Cookies Tavern, 10th Street and Oregon Avenue in South Philadelphia, to raise a glass or two in honor of the corps. On Nov. 10, 1775, a Corps of Marines was created by a resolution of Continental Congress. Since that date, many thousand men have borne the name "Marine." In memory of them it is fitting that we who are Marines should commemorate the birthday of our corps by calling to mind the glories of its long and illustrious history. The record of our corps is one which will bear comparison with that of the most famous military organizations in the world's history. During 90 of the 146 years of its existence, the Marine Corps has been in action against the nation's foes. From the Battle of Trenton to the Argonne, Marines have won foremost honors in war, and in the long eras of tranquility at home, generation after generation of Marines have grown gray in war in both hemispheres and in every corner of the seven seas, that our country and its citizens might enjoy peace and security.